The Stone Arch Bridge is at left, the renovated 1880s railroad bridge that's now a pedestrian walkway to downtown Minneapolis. 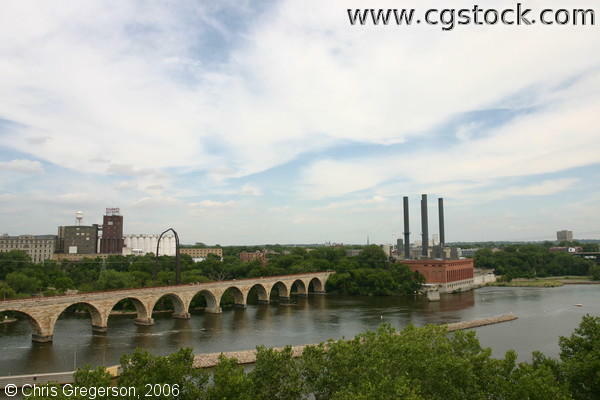 The smokestacks at right-center belong to the U of M's steam heating plant. This photo was taken from the patio of the new Guthrie Theater in downtown Minneapolis.